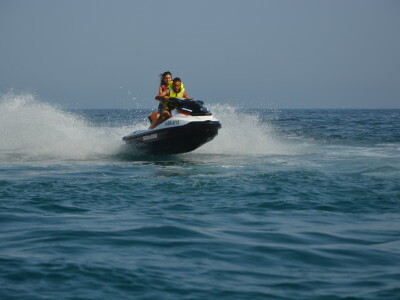 Experience the Power of Jetskiing! Does your hen fancy herself as a bit of a Lara Croft type? The adventurous one, always looking for the next exciting adventure? Then this is perfect for her hen do in Barcelona! 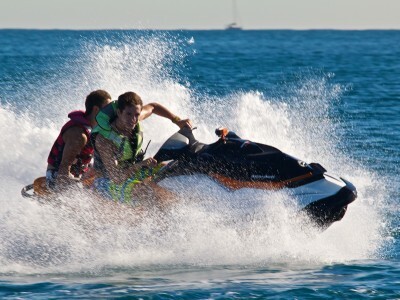 These crazily powerful jet skis are guaranteed to get you and your hen excited, as you ride the waves of the Mediterranean! 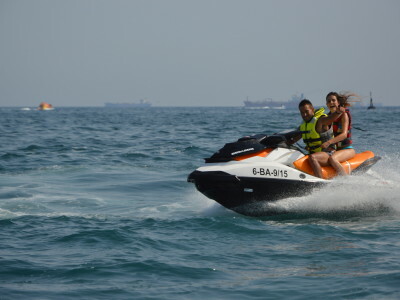 You can enjoy the warm waters of the sea and the hot rays of the sun while you cruise around for 30 minutes on an adrenaline-fuelled trip! 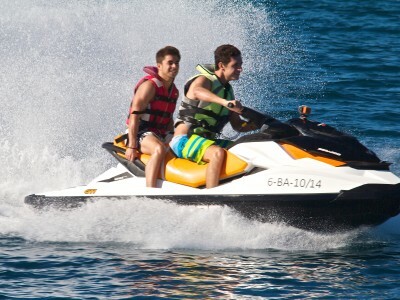 We take care of life jackets, your valuables and insurance, so you don’t have to worry. There are also wetsuits available upon request, if anyone in your group needs it. Don’t forget to take your towel, your swimsuit and sun cream!